Available as an A6 postcard, stock low, please see order form. Also available as mini-print approx 6" x 8", please see order form. Original for sale. Oil on canvas, framed in gold approximately A2 sized £425. 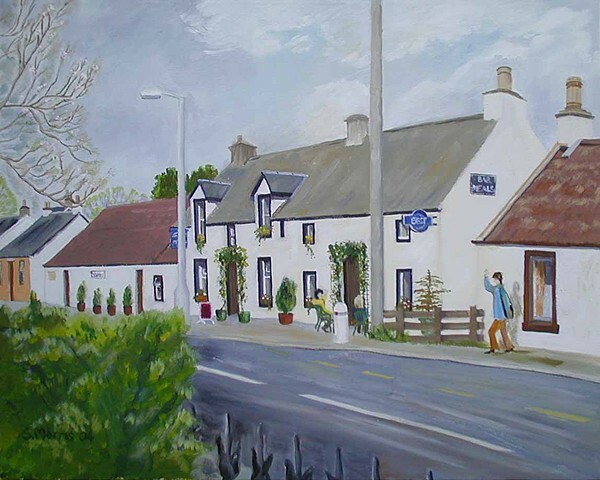 Another gathering point for people in the village, and very typical of Inns (Pubs) throughout this part of Scotland.